Maybe you've debated between a traditional posed newborn session and an in-home lifestyle session. Both are beautiful options! 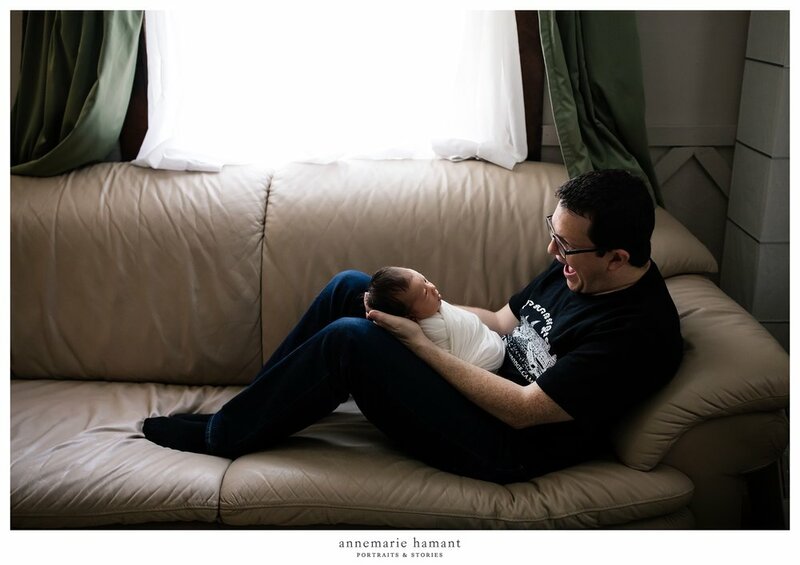 Here are 5 benefits of a lifestyle in-home newborn session to consider as you choose a photographer to capture this important family milestone! 1. You don't have to pack up the whole family and rush out the door to get to the studio! 2. Your toddler or older siblings feel comfortable because they are in their own element. These sessions are super laid back and there isn't pressure on the siblings to perform for the camera. They get to show me their toys, fave books, and their home, and it puts them at ease! 3. The lifestyle sessions capture the setting for your growing family -the home truly is where the heart is! Your home- no matter how you feel about it, is part of your family's story. Your children will remember what life felt like in those walls. My favorite pictures from when I was a baby are ones that tell me a story about where we lived, what the house looked like, what kind of clothes my parents wore, and what my siblings were up to. Though our home decor and clothing will always look "dated" after decades, the images remain timeless because they form an intrinsic part of our life story. One reason I don't use props in my work is because I feel that props tend to just look trendy or dated without a context or purpose. A favorite stuffed animal, or quilt from grandma to me are not "props" but rather pieces of the story. 4. There is no pressure to photograph baby in the first 2 weeks as with most traditional posed session. If baby is awake, that's ok! 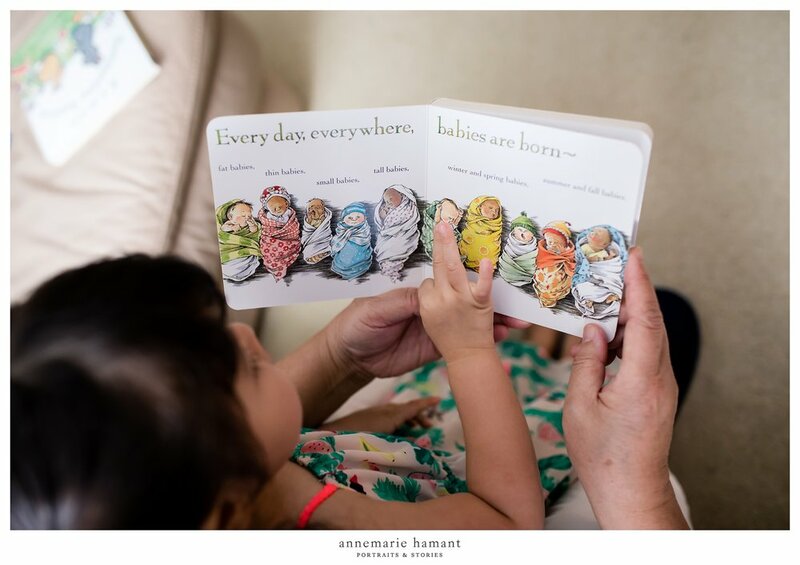 If baby needs to eat, or be changed, that is just fine and a part of their newborn story. 5. 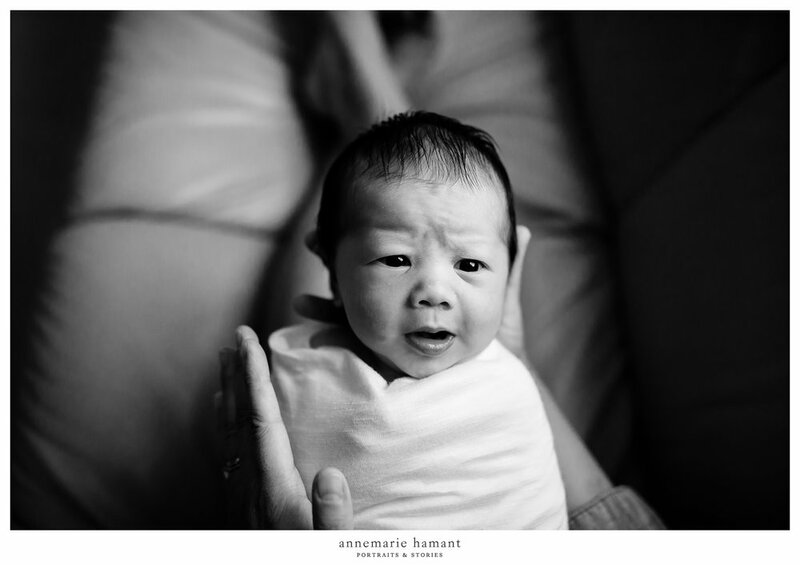 A lifestyle newborn session, while celebrating this beautiful new baby, is not solely focused on the newborn, but rather captures their place within the greater context of the whole family. Those sibling dynamics are so beautiful to capture, and even grandparents that might be visiting! If there aren't older siblings in the picture, the special bonds between mom and dad and baby are able to be captured in a very authentic way. If you wonder if you would get enough images of just the baby, in my lifestyle newborn sessions I spend time creating simple, classic portraits of just the baby, because those are so important too! We want to remember their long eyelashes, their tiny fingers, those big eyes and tiny toes at this stage! If you are expecting or have a newborn baby and would be interested in a lifestyle in-home session, please reach out and tell me more about your family! I'd love to talk with you to plan a session!